Gappy Ranks was born and grown in Harlesden NW10. Father Jamaican, Mother Dominican, a good combination like Rice & Peas. Early support and recognition of this rising young talent who had made his studio debut with the Ruff Cutt band aged 11, came from local sound system operators and pirate radio stations and soon led to his link up and studio baptism with Stonebridge stars Suncycle Crew. It was his initial hit “Mountain Top” follow up by “Heaven In Her Eyes” that broke Gappy internationally. “Stinking Rich” & “Rising Out The Ghetto” soon followed, solidifying Gappy as bright new talent. In 2010 he released his 1st album “Put The Stereo On” with Peckings Studio One. In 2011 Gappy Ranks followed up with his 2nd album “Thanks & Praise”, this time on his own independent record label Hot Coffee Music & distributed by VP Records. This Album included smash hits such as “Stinkin Rich” produced by Italian producer Macro Marco, The classic “Longtime” produced by Special Delivery & the heartfelt titled track “Thanks & Praise” produced by Grammy Award winning UK Producer Jazzwad & featured Jamaican Recording artists Delly Ranx & Russian who is better known for his work with international recording artist Vybz Kartel. Gappy Ranks has toured & performed throughout Europe, USA, West Indies, Australasia not to Mention his trip to Japan on March 2011 where he found himself in the middle of the worlds biggest earthquake & tsunami, to which Gappy recorded his tribute “I Was There”. 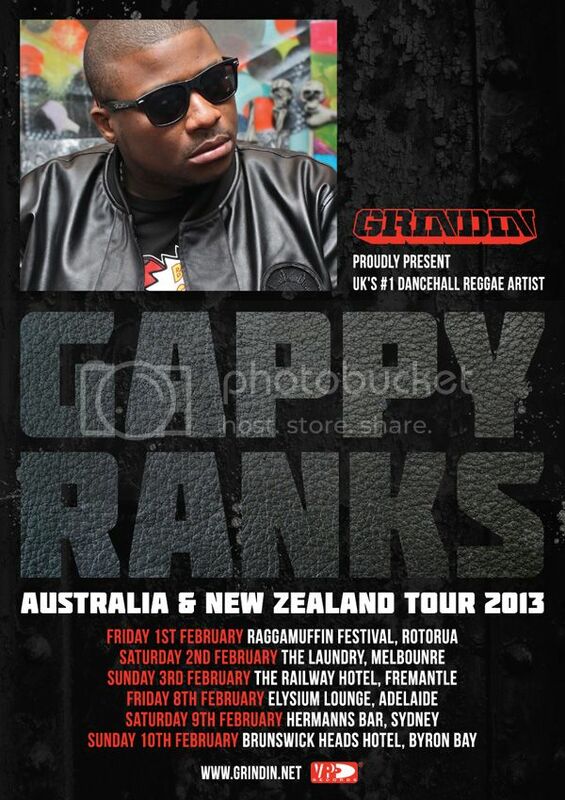 2013 is set to be a busy year for Gappy, hitting our shores in February on the Raggamuffin tour followed by his “Cookies Reloaded” tour in the USA.